Maybe it's your first sight of a palm tree in the sea breeze. Or the feel of sand between your toes. Even your first tropical cocktail in the warmth of the sun. But for some people, it's the taste of any of these iconic flavors that makes you feel like you're finally on vacation in the Caribbean. Florida Stone CrabIf seafood is what you crave in the Caribbean, don't miss the chance to try the sweet and delicate flavor of Florida Stone Crab. But don't let the name confuse you. It's found from the North-East coast to Belize, including Texas, the Gulf of Mexico, and the Bahamas. It's a close cousin of the Gulf Stone Crab, and they often interbreed. Florida Stone Crabs are fresh in season from mid October til mid May; perfect for sun-seekers heading south for the gray months. Only the claws are harvested, and they have to be nearly 3 inches long. Stone crab claws regrow, so one, distinctive black-tipped claw is removed. Then fishers return the crab to the sea, making this fishery one of the highest rated fisheries for being viable and responsible. Minimum claw size to harvest is nearly 3 inches, but it goes up from there. Claws are sold by 4 grades: medium, large, jumbo and colossal. 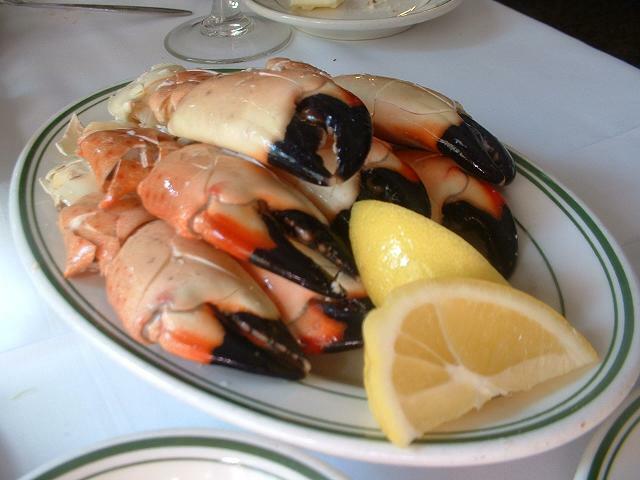 BestTrip.TV got a taste of Florida Stone Crab at Miami's The River seafood restaurant; in this video you'll see just how tough those claw shells are and how delicious this seafood treat is. ConchThis delicacy is unique in both taste and appearance. 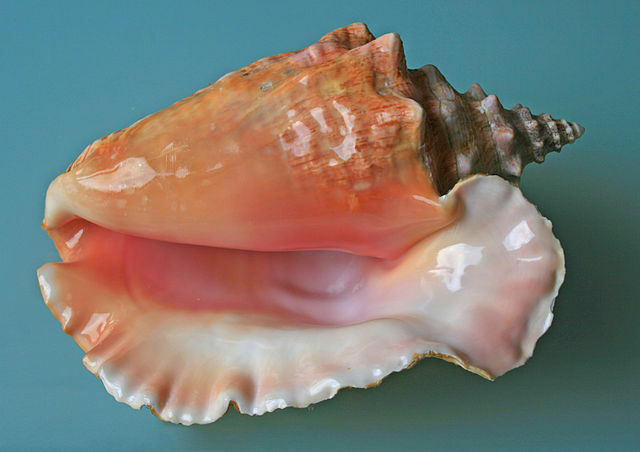 Conch is pronounced 'konk' and usually refers to queen conch, native in the waters from Bermuda to Brazil, which has possibly the most recognizable shell in the marine world. You may not hear the sound of the sea in it or be able to blow it as a horn, but the 'marine escargot' (a much more elegant name than sea snail) it contains is one of the most authentic tastes of the islands. 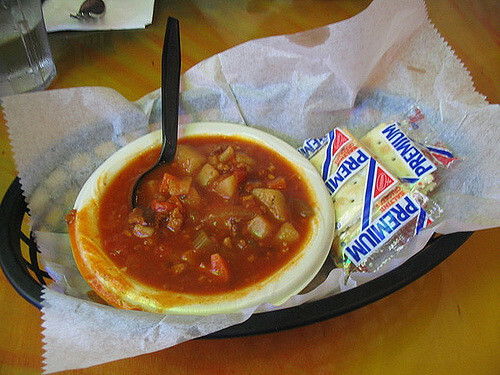 Conch is the national food of the Bahamas. Locals of Key West, Florida call themselves 'Conchs'. And Turks and Caicos has an annual Conch Festival. With a texture a lot like calamari and a mild flavor, conch lends itself to dozens of dishes in communities across the Caribbean and Gulf of Mexico. Conch salad is raw meat 'cooked' by lemon and lime juice and mixed with chopped tomatoes, onions, and green peppers in a light and fresh juicy concoction. Battered and deep fried conch fritters, cracked conch deep-fried with spicy sauce, and conch chowder are some of the other best ways to try conch. 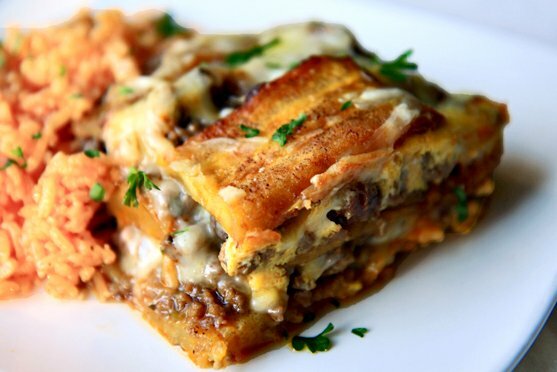 You'll also find it in curries, empanadas, stews and pates. The queen conch has been overfished in many places in the region and is now regulated. It can no longer be fished in Florida or adjacent US Federal waters. 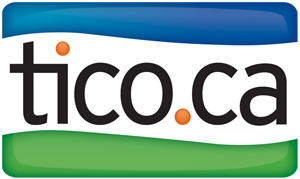 Conch from Jamaica and Turks and Caicos is considered responsible; conch in Honduras, Haiti and the Dominican Republic is not recommended. PlantainWhen is a banana a plantain? That's a trick question. There is no real distinction. The term loosely applies to any banana-type fruit that is eaten under ripe and cooked. There are many varieties, so in places where 'true' plantains are common, other starchy varieties are sometimes called 'cooking bananas'. Plantain fruits year-round, making it a starchy staple of most of the West Indies and Central America. You can eat plantains raw when they're ripe. Then the starches convert to sugar, although they are still more bland than a true raw eating banana. Any way you slice them (pun intended), plantain are delicious, and a dish with plantain is a truly local culinary experience. Soft and neutral flavored, plantain can take on many shapes and uses. 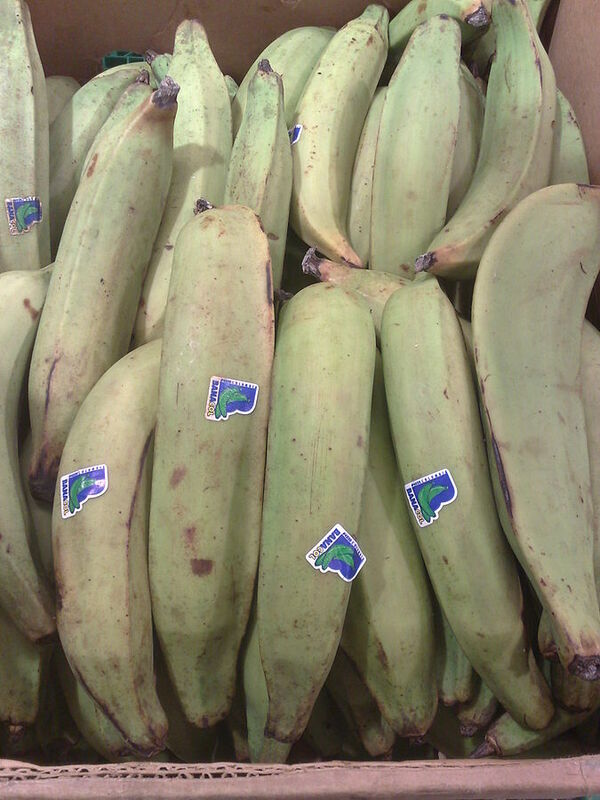 Green plantain have hard pulp and are fried, steamed, boiled, baked, grilled over charcoal, made into soup and even microwaved. 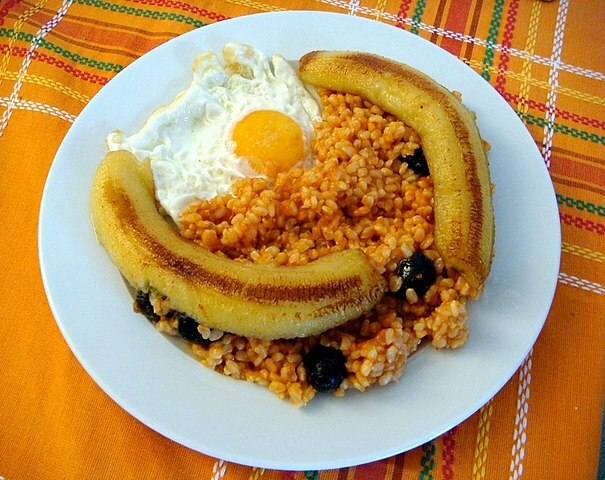 In countries like Puerto Rico, the Dominican Republic and Cuba, plantain is fried, then mashed to make mofongo. Or in Latin parts of the Caribbean and Central America, it's fried into tostones, which in Honduras is called tajadas, or in some countries like Cuba, Dominican Republic and Puerto Rico, tostones are twice-fried patties. Tostada refers to a green, unripe plantain which has been cut into sections, fried, flattened, fried again, and salted as a side dish or snack. Not to mention the irresistible plantain chip, made from thin sliced, deep-fried unripe plantains.